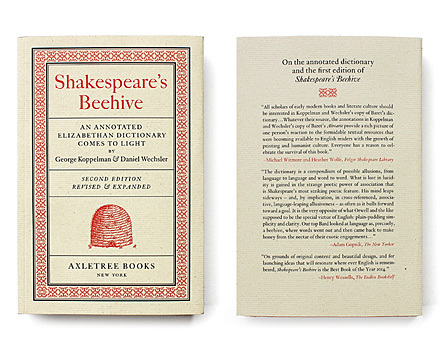 We are pleased to announce the publication of the second edition, revised and expanded, of Shakespeare’s Beehive: An Annotated Elizabethan Dictionary Comes to Light. 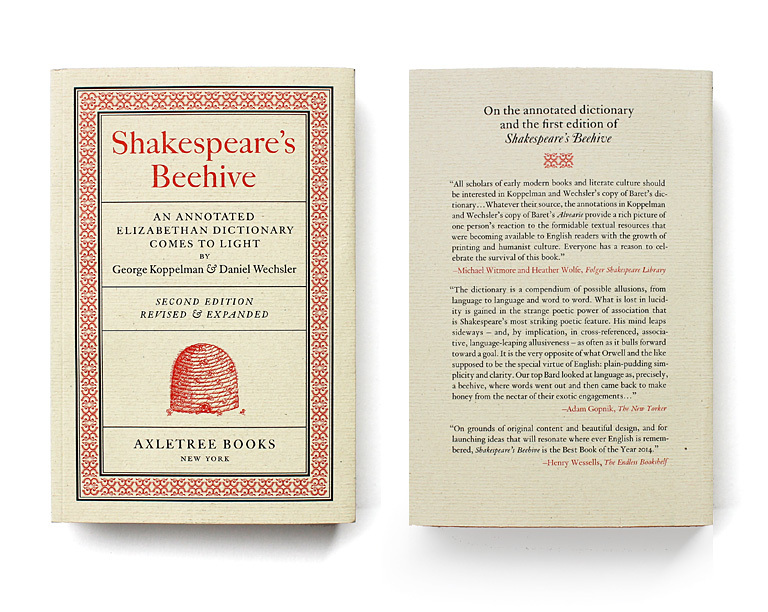 A second edition became a necessity as a result of research that we conducted over the course of the past year and a half, evidence that we believe is important to share and helps to solidify and advance the credibility of our arguments and our claim. 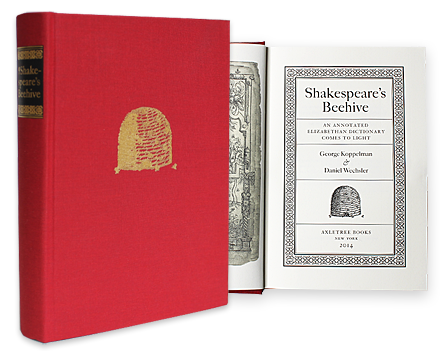 There are two entirely new chapters, including perhaps what is now the most significant of all: “Missing Leaves, and the Curious Case of John Frith.” A wide array of fresh textual examples comparing the annotated Baret dictionary with the works of Shakespeare has been added throughout. Available in paperback ($35) and as an eBook ($10).